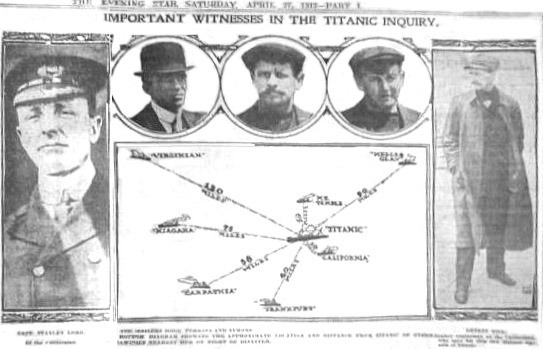 Facts and information about the Inquiry into the sinking of the Titanic. J.B Ismay, Senator William Alden Smith, held in New York. Great information for teachers, students and historians. The greatest maritime disaster in history was sure to raise the eyebrows of government departments and media across the world. Although Titanic suffered a massive loss of life in 1912 the outcomes of both the British and American inquiry would in turn save thousands of lives for generations to come. Senator William Alden Smith the American Inquiry began at 10:30 the next morning after Carpathia arrived with its limited number of survivors. 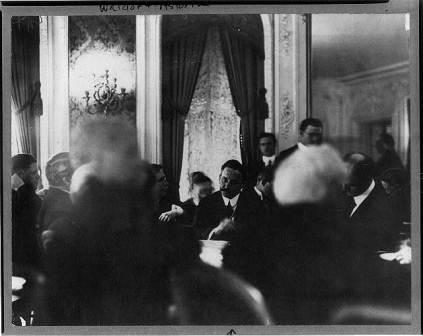 Senator William Alden Smith would lead the U.S inquiry and was urgent to get procedures underway before the survivors of Titanic left New York and could not be contacted again. — Senator Smith, on Captain E.J. Smith. 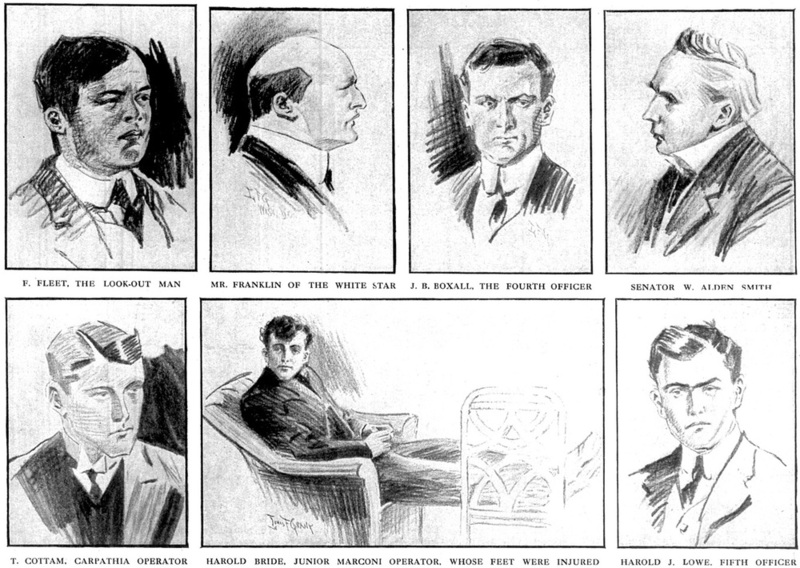 J.B Ismay was issued a summons immediately upon arriving on American soil but when he was grilled by Smith and the U.S Senate inquiry he played his cards very close to his chest claiming to be no more than a passenger of Titanic and claiming to have little to no intimate knowledge of the events that led to her demise. Although The American Inquiry would prove to be far more thorough and genuine than the subsequent British Inquiry it did little to lay blame or find answers for the American public who had suffered the loss of so many of their own citizens. 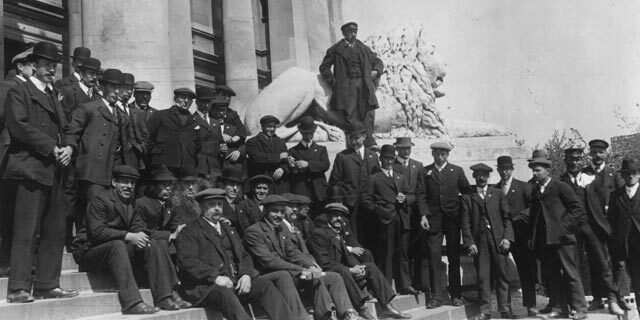 Many surviving White Star employees that testified refused to lay blame upon their superior and now deceased colleagues simply conceding that the events that lead to Titanic's demise were just sheer bad fortune. Possibly the largest point of confusion was surrounding the Leyland steamer Californian. At only 19 miles away from Titanic it was well within visible and radio contact prior to and during Titanic's sinking yet for a number of inexplicable reasons could not make coherent communication with Titanic which surely would have saved hundreds more lives and changed history. 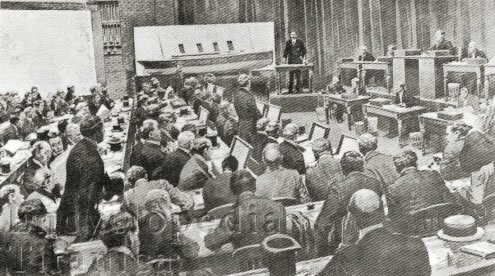 The outcomes of the United States inquiry were mixed. Ismay and all crew were allowed to return home without any blame for Titanic's sinking but from then on all passenger ships must carry enough lifeboats to accommodate everyone on board and crew must be well trained in their deployment and use. Secondly steamers must carry searchlights and have a manned radio 24 hours of the day. These recommendations took effect almost immediately. The Chief issue of concern from the British inquiry was the navigational negligence of Titanic. She sailed under full steam through ice infested waters which upon reflection seemed utter madness on behalf of Captain Smith. Questions were raised about whether Ismay the owner of White Star lines had forced Captain Smith to this speed to receive plaudits for the speed of Titanic as well as its elegance. Secondly, was the Titanic structurally seaworthy? For such a mammoth ship Titanic sank at a rapid pace which greatly affected the number of survivors that were collected by Carpathia. The third issue of contention was the lack of lifeboats on board Titanic. She could not provide a chance at survival for nearly half her passengers. 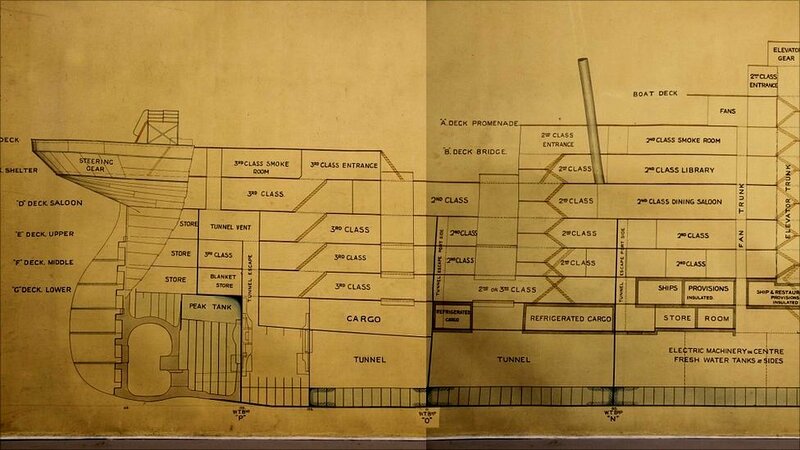 Beyond these three major issues there was concern over the behaviour of staff and passengers on board Titanic regarding the treatment of third class passengers and the equity of lifeboat access. The inquiry from the British Board of Trade seemed to be somewhat of a scam to appease the British public and media more so than trying to find genuine answers and lay blame upon anyone. 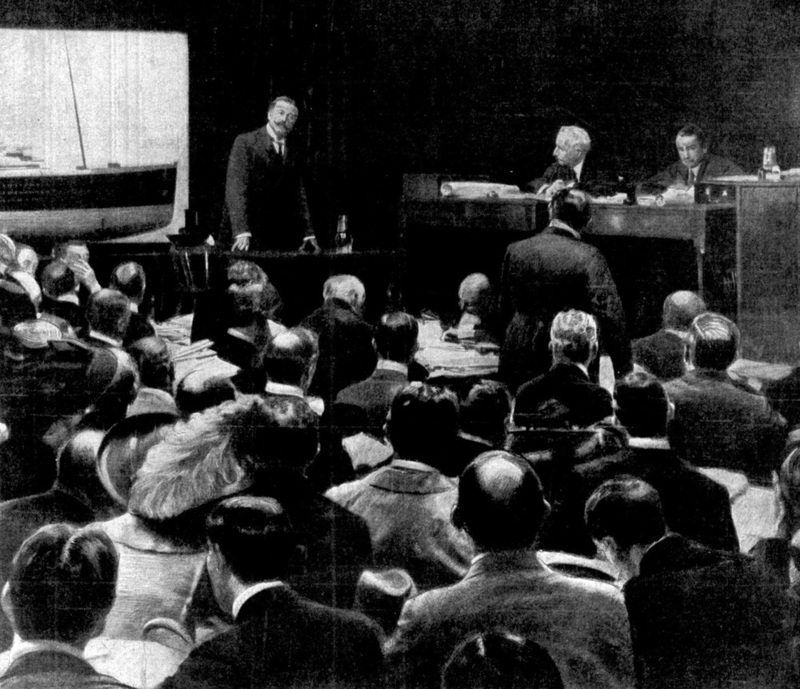 Essentially The Board of Trade was investigating itself and it created all parameters that allowed Titanic to perish so easily and it seemed to have no intention to blame anyone for the disaster as it would spell disaster for British shipping and possibly pave the way for mammoth law suits filed against it. The British investigation essentially concluded unsurprisingly without any blame laid upon White Star Lines and also the British Board of Trade. For a complete record of both the United States and British Inquiry please visit Titanic Inquiry Project. This site contains all transcripts and outcomes in complete detail. The Inquiry in New York would ensure that all ships would carry enough lifeboats for all passengers. The Chief issue of concern from the British inquiry was the navigational negligence of Titanic. She sailed under full steam through ice infested waters which upon reflection seemed utter madness on behalf of Captain Smith. Questions were raised about whether Ismay the owner of White Star lines had forced Captain Smith to this speed to receive plaudits for the speed of Titanic as well as it's elegance. Beyond these three major issues there was concern over the behavior of staff and passengers on board Titanic regarding the treatment of third class passengers and the equity of lifeboat access.